Garden Lites - Muffins with veggies as the #1 ingredient! That's right, zucchini is #1. They are also allergy-friendly and made without gluten, dairy and nuts. But don't be fooled, these muffins are as tasty as they are nutritious, and they come in many flavors (our favorite is the blueberry oat)! They store well in the freezer, and are delightfully soft after about 30 seconds in the microwave. These also pack well from frozen and can easily be thrown in your tote for on-the-go snacking. You can find Garden Lites at many of the big national retailers like Target and Costco, but this company will also ship direct to your house...yes please! 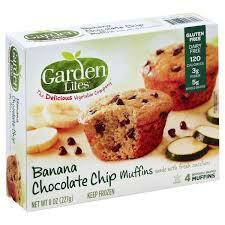 Garden Lites BanaNa Chocolate chip muffins make mornings easier and more delish! Sometimes you really have to sell your kids on mealtime, and as with adults, presentation matters. 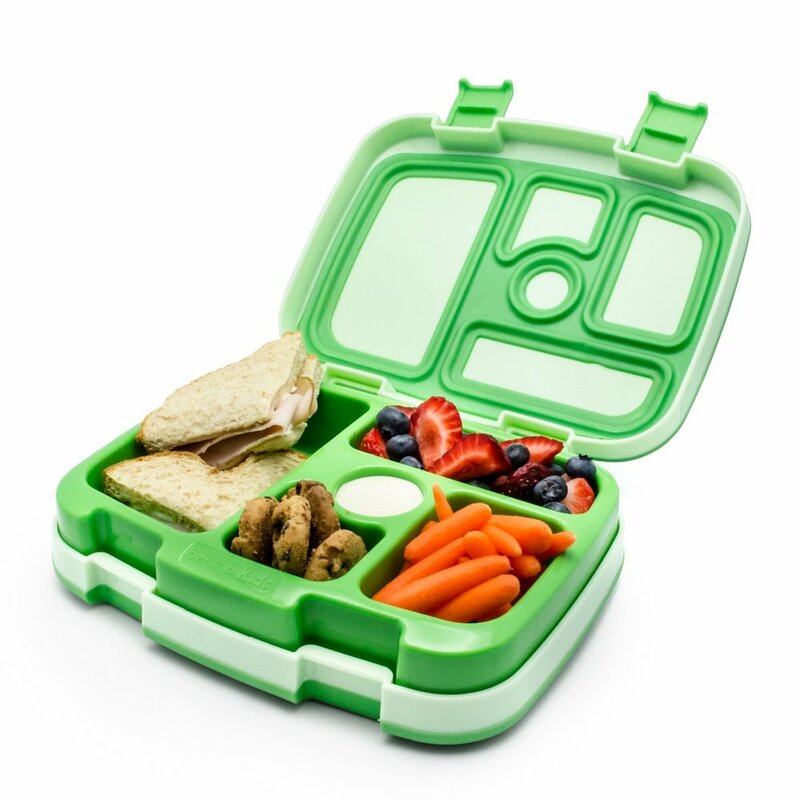 Try mixing it up with a bento box like the one shown below from Bentgo. We love this box because it has a perfect-sized compartment for dips - a great motivation for getting those veggies in. Toddlers often enjoy being part of the meal creation process. Developing meals that include your little ones in the prep process is a win-win for everyone - not only do you occupy your kids while prepping dinner, but you are also engaging their minds with creative process. One of our favorite build-your-own dinner ideas is taking the build-your-own-bowl craze and making it toddler-friendly. Start by picking a base grain or startch like quinoa, rice, califlour rice or even some fun-shaped noodles! Next, offer up the veggies and protein of your choice. Remember, this doesn’t have to be super-gourmet! We like using steamed veggies (often times frozen steamable veggies are our favorite option),rotisserie chicken, or baked salmon fillets broken apart into small pieces. Finally (and everyone’s favorite part!) are the toppings. Our kids looove shredded cheese, so this is our go to! We also like offering toppings like Greek yogurt mixed with dill or other fresh herbs that your toddler or little one enjoys. Be creative here, if your little one loves goldfish - let them throw a few on to make it their own! As with every aspect of parenthood, mealtime can be frustrating and take patience and repeat tries. And there is no best approach. Take what works and build from there. We’d love to hear what works in your household!